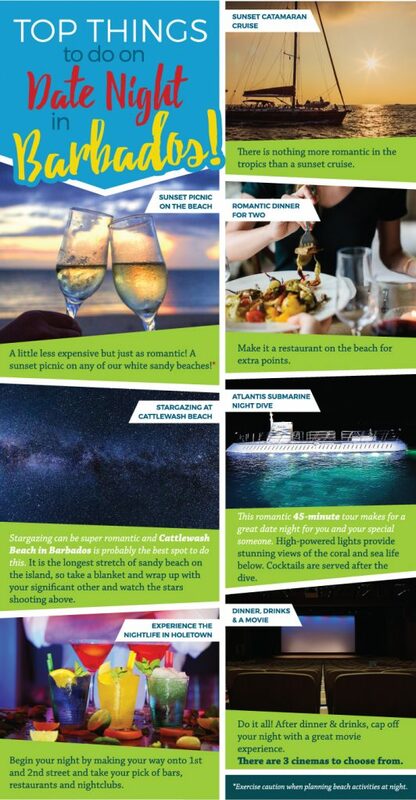 Infographic Guide to your Date Night in the Tropics! Here you will find links to the items above. From surfing and stargazing to sailing into the sunset or taking time out for movie dinner date at Limegrove Cinemas or the Drive-In where you only leave your car to get a Banks beer and roti or maybe some popcorn. 4. Go stargazing – the place to start is at the local observatory. Ask for LEO and his Stargazer Picnic Tours. 7. Go for dinner & movies – check WhatsOnInBarbados.com for the movie guide.